We are a local real estate company that buys houses. After we buy your house, our crews will do any repairs, painting, and cleaning that the house needs. So you don’t have to pay for the work or even lift a finger. We have funds ready to buy your house so your closing won’t be held up by a bank financing committee. Read more about how we do things here. We can give you a written offer today. And next week you could pick up a check at closing. So fast…you’ll think it’s magic. Are You Dealing With Any These House Problems? Sell Your Upper Marlboro House to Us Now Without Waiting Months. We can make you a fair written all cash offer to buy your house. We don’t even care if your house needs fixing. Because our team will take care of it after closing. You can get a fair offer today. Then next week you can walk out of closing with cash in your pocket. That’s worth celebrating. 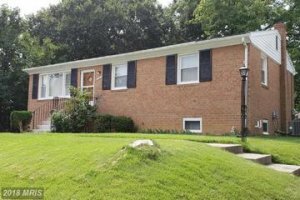 Need To Sell Your Property Quickly In Upper Marlboro? 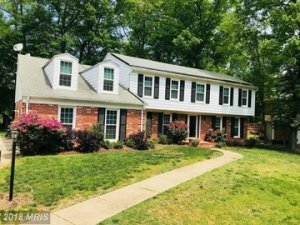 Sell My House Fast Upper Marlboro MD! We Buy Houses Fast. Call Us Now. Selling a house through a real estate agent is not for everyone. Many people do not see the difficulties with using agents until it is too late. Agents lock you into an agreement that usually lasts 6 months. And agents have no guarantees that they will sell your house. You do not have to be trapped into waiting 6 months without a buyer. Yes, real estate agents charge high commissions. But what’s worse than high fees is how you’ll feel 9 long months from now if you still have not sold your house? You could try to sell it yourself without using a real estate agent. But then you’ll have to find a buyer on your own. And you’ll have to pay for advertising and answer phone calls from strangers and maybe pay for repairs and pay closing costs too. Having to do it all yourself can be like having a second job but you never get to clock out. Our goal is to make selling your property easy and low stress for you. Our team is ready to take care of all the details. Are you ready to move on to a low stress life? We help people who are in tough situations, such as death of a family member, foreclosure, divorce, difficult rental property, unaffordable repairs, and many others. We can help people by buying their Upper Marlboro property at a fair price and using all cash. If your property has become a hassle, then give us a call today at 301-798-4298. You can sell it without the time consuming expense of selling it the traditional way. Let us know about the property and we’ll give you a fair all cash offer. We can take some of the burdens off your shoulders.